I just joined this forum and I'll definitely be looking forward to this games release! I heard about it through DarkSkull (aka DeathSkull) and from COZ. Hope to see you all around in Growtopia, then hopefully in this PGO! 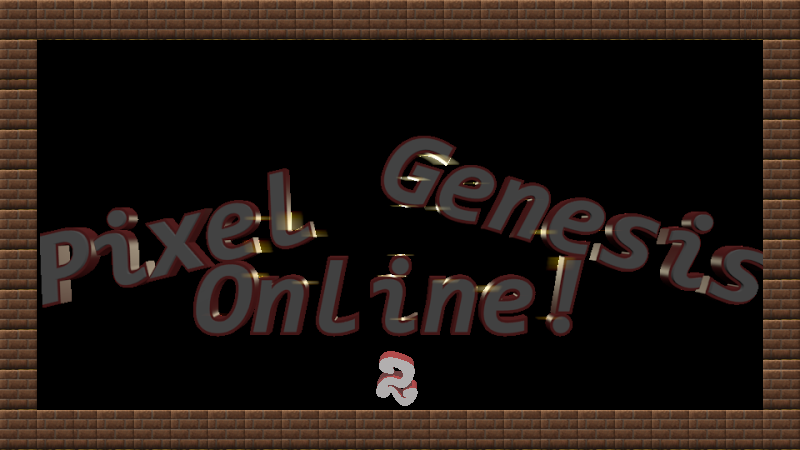 Hello, and welcome to Pixel Genesis Forums'. I suggest reading all the stickies , they will help you out in the Forums. And hopefully I will see you in Growtopia. Have fun on these forums´' . Yep I see isaaccs has introduced you to the forums! I'm also looking forward to this awesome-sounding game. My advice is just stay active and have fun that's the most you can do right now! I hope you have an enjoyable time both on the forums and in game. Remember if you see a mod or a dev, feel free to ask them anything, they will help you. Also, do what isaaccs said. The stickies are the most helpful for new players. Lastly, remember that we are a small community, and do not fret when there is not too much excitement. It will come. Heyo trisp! I can't wait till the game comes out ether, it will be fun. Ender what mode are you using? If your using mobile then you won't be able to see it. If its not on mobile then this is a big bug that needs to be squashed! Try pm'ing vemrall or any other administration member. I'm on my iphone and it works perfectly fine. Just like my Mac version. Does it work now Death? I just updated my info, sig, and profile pic. Sorry I didn't get it done sooner haha. I had to reset my settings to get it to work..